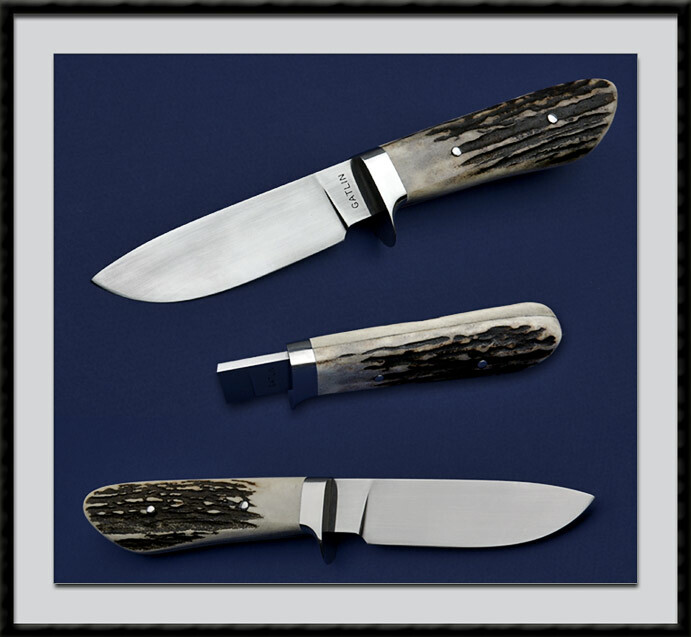 ABS Knife maker, Brett Gatlin crafted this Stag Hunter, BL = 4 1/8", OAL = 8 1/2", Hand forged from 1084 carbon steel, Hand rubbed Satin finish, SS Fittings and a Mortised Stag handle. Fit and Finish are of the Highest Order. Condition is Pristine.